Hurricane Michael barrels toward the Florida Panhandle as a "potentially catastrophic" Category 4 storm at 9 a.m. Wednesday, Oct. 10. ST. PETERSBURG, Fla. — Florence and Michael are never to be seen again. 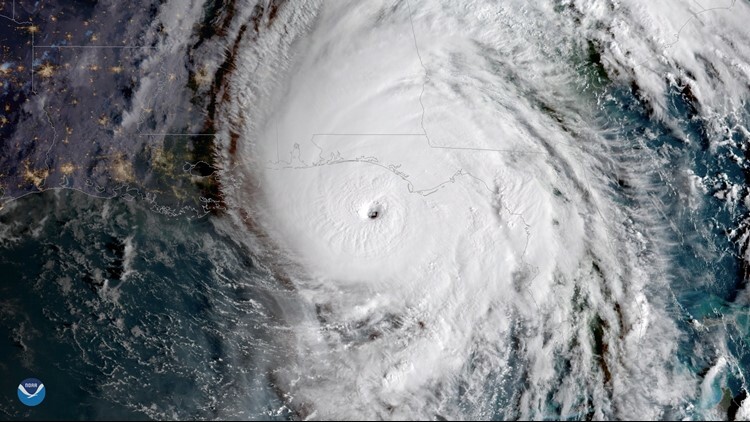 The World Meteorological Organization announced Wednesday it would retire the names of the two storms following the fatalities and destruction they brought during the 2018 Atlantic hurricane season. Names are retired from future use when using them again would be considered insensitive. The World Meteorological Organization’s Region IV Hurricane Committee each year reviews the previous season's tropical activity and removes names from being used again if they are especially costly or deadly. 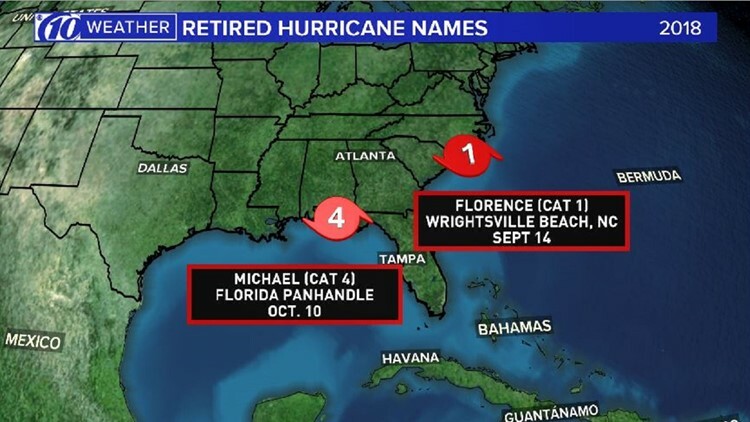 Storm names Florence and Michael have been retired from future use. When names are removed, new ones are added -- otherwise, names are reused every six years. Francine and Milton will replace Florence and Michael on the 2024 list of storm names. Hurricane Florence hit the North Carolina coastline on Sept. 14 and moved slowly across the Carolinas. Heavy rain and widespread flooding was its calling card, with at least 51 deaths attributed to the storm. A month later, Hurricane Michael made landfall on Oct. 10 near Mexico Beach, Florida, and nearly leveled the city. Its maximum sustained winds of 155 mph made it the fourth most intense storm to make a U.S. landfall based on wind speed. At least 45 people were killed. A total of 88 names have been retired from the Atlantic basin list since 1953.